combination. Highlight your eyes only with Coco Contacts Freaky Lens Line. Are you a soccer/futeball fan? Don't have a team to cheer for, but you love the game? 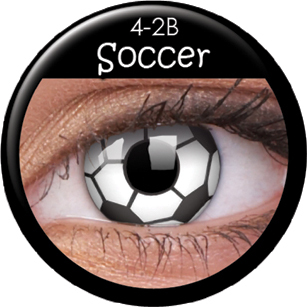 Why not wear SOCCER LENSES?! The lenses are literally like a soccer ball with black and white patches.